Birmingham Solihull and Sandwell Jazz Festival. 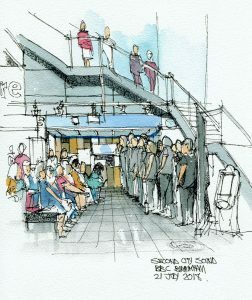 A jazz festival isn’t an obvious choice for a barbershop chorus, but we are always glad to reach a new audience! 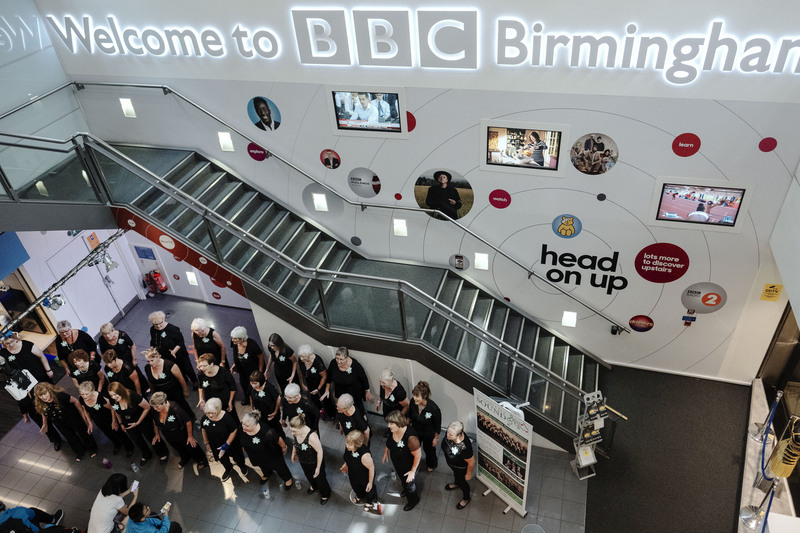 We were delighted to be invited to sing at BBC Birmingham, as part of the Birmingham, Solihull and Sandwell Jazz Festival on 21 July. 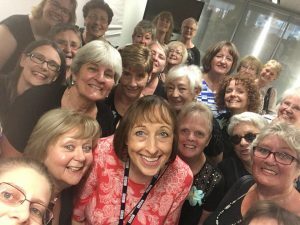 Hosted by Radio WM’s Jenny Wilkes and performing under the direction of Assistant MDs Helen Brown and Jo Wilson, we sang two half-hour sets to an appreciative crowd. We even received a lovely original sketch, as a memento — and, of course, we had to ask Jenny for a photo!